I just want to take a moment and pay tribute to my most under appreciated pair of shoes, my vegan Toms. I don't remember how long ago I purchased these. I just remember I bought them soon after they hit Manila shores. I don't own a lot of flats because I'm quite height challenged but there are just some occasions when heels aren't appropriate...like when going to a KFC in a gas station...and my Toms are always my go-to shoes. They are also my favorite shopping shoes. I live about a block away from Greenhills shopping center so I just usually walk to get there instead of taking the car. They are the comfiest shoes ever and they just let your feet breath effortlessly even after an entire day of walking around in them. Great TOMS! I love the tribal print on those. The ones available in the stores right now are just too plain for my taste. I like your outfit! 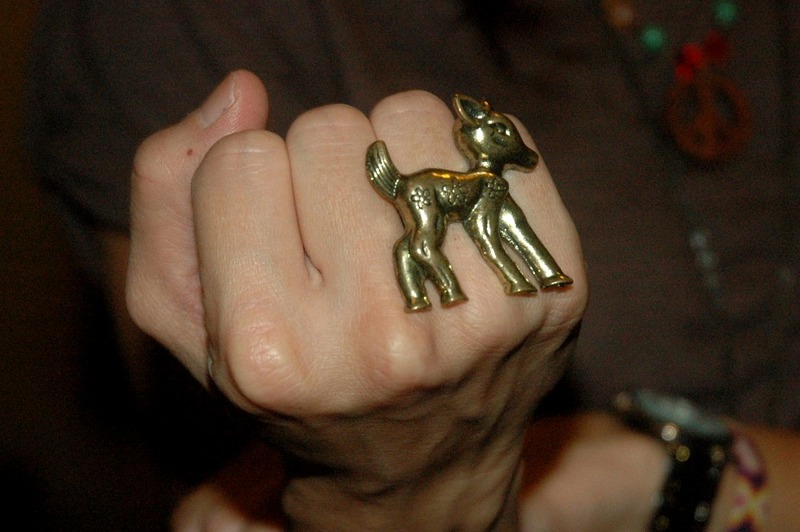 That ring is really cool! where did u get it?? Here we have the PAEZ, they are like the argentinean TOMS... they are really comfy and come in tons of prints. Thank you for the blog love! Very cute outfit too, I love the shoes. Your from Manila? Very cool! My mom is from Palompon Leyte. K.I.T. 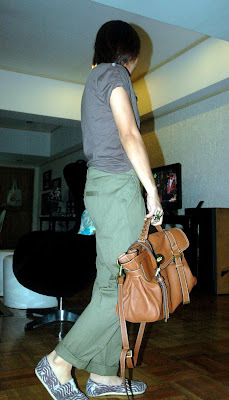 i love your bag and accessories. my look is totally christina aguilara, i didnt even think of that!! 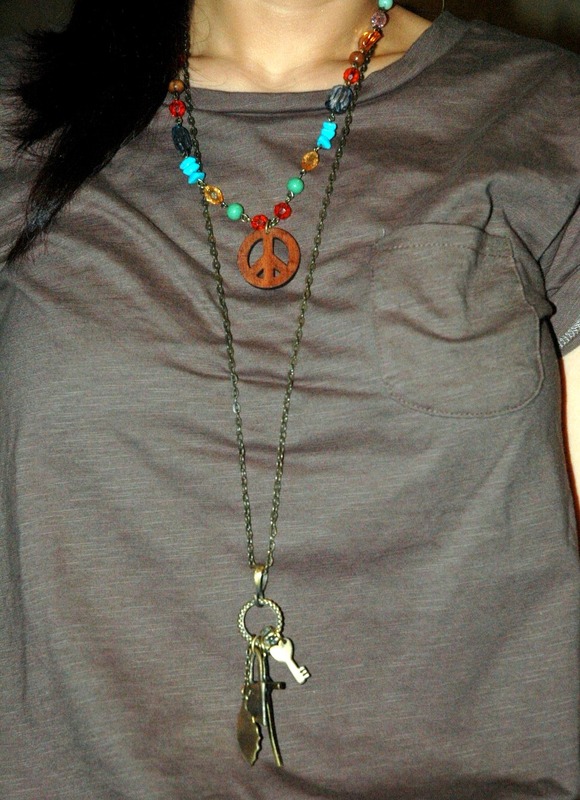 Cute necklaces and love the 'bambi' ring! i love your outfit! (AS ALWAYS) it seems very comfortable! really cool! especially your TOMS! LOVE! Love the colors!!! Gorgeous bag!!! you are height challenged? i swear you look 5'6"-ish! and yes, tax season suucckkss!!! love the satchel and the bambi ring! I think my friend has this bag? Damn you both because i love it! haha. 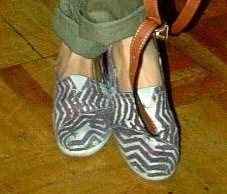 And i also love your toms, i didnt know they did such ethical footware, will definately be checking them out! i love love love that rings - its gorgeous! I absolutely love your necklaces, and that ring is so so cute. love this look, colors are great! What a cute outfit and the ring is nice! i absolutely love your casual outfit very cute and on the go. i love the bag definitely in love with the bag! vegan toms.. never heard of that beforee. wow they are definitely cute though! I'm still thinking on buying the JC shoes though. Haha! I hate that I don't get my money's worth when it comes to my tax contributions. aaaaaaaah I love your ring! !